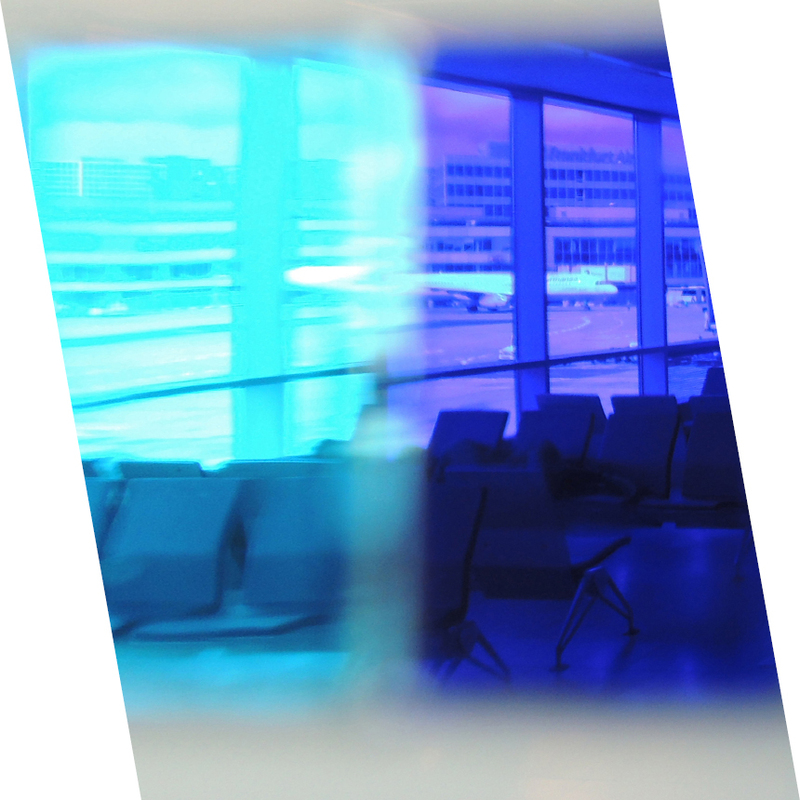 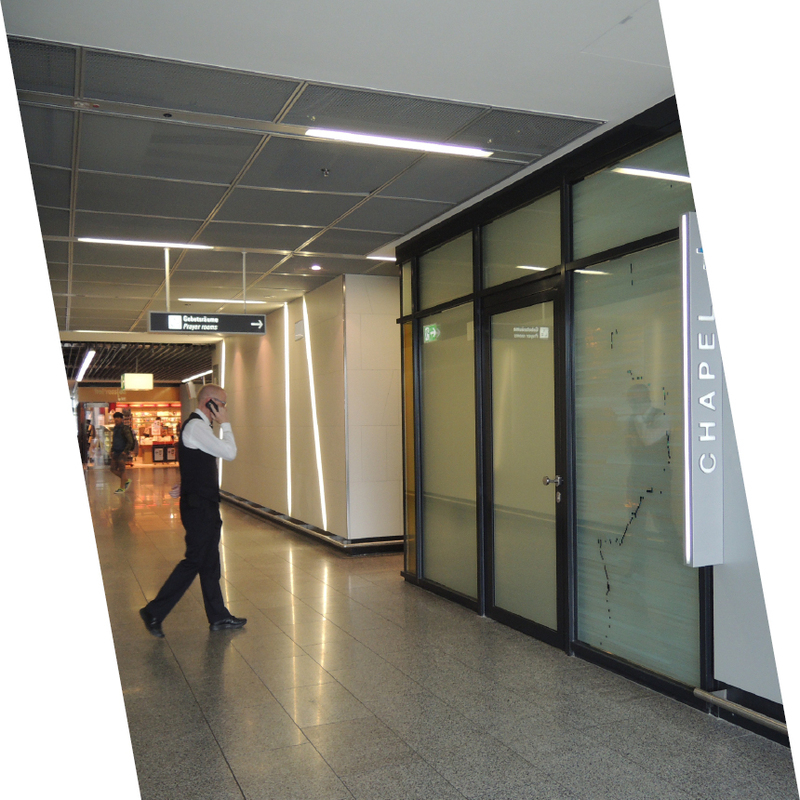 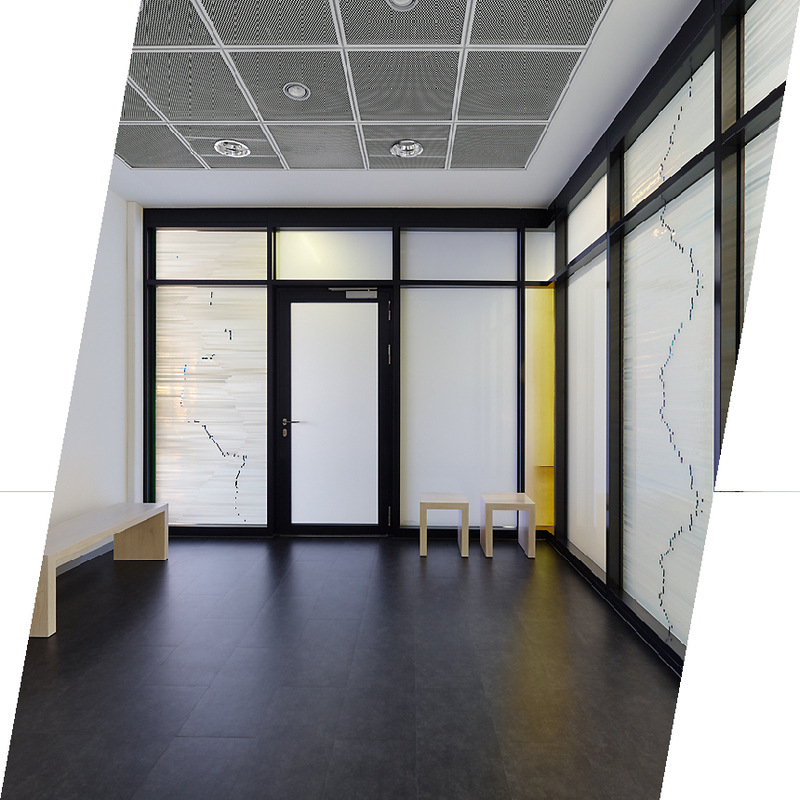 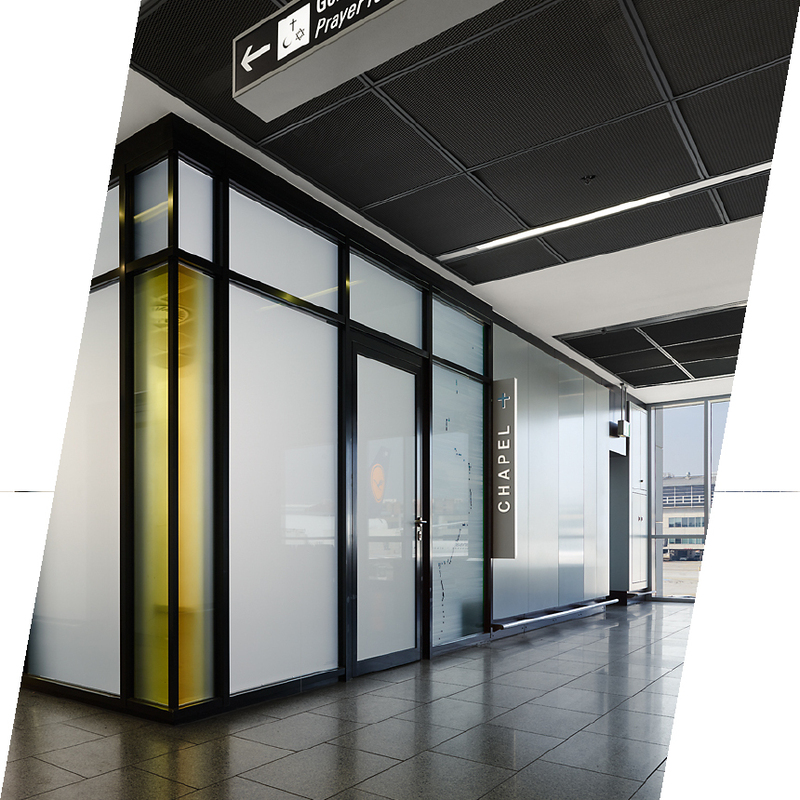 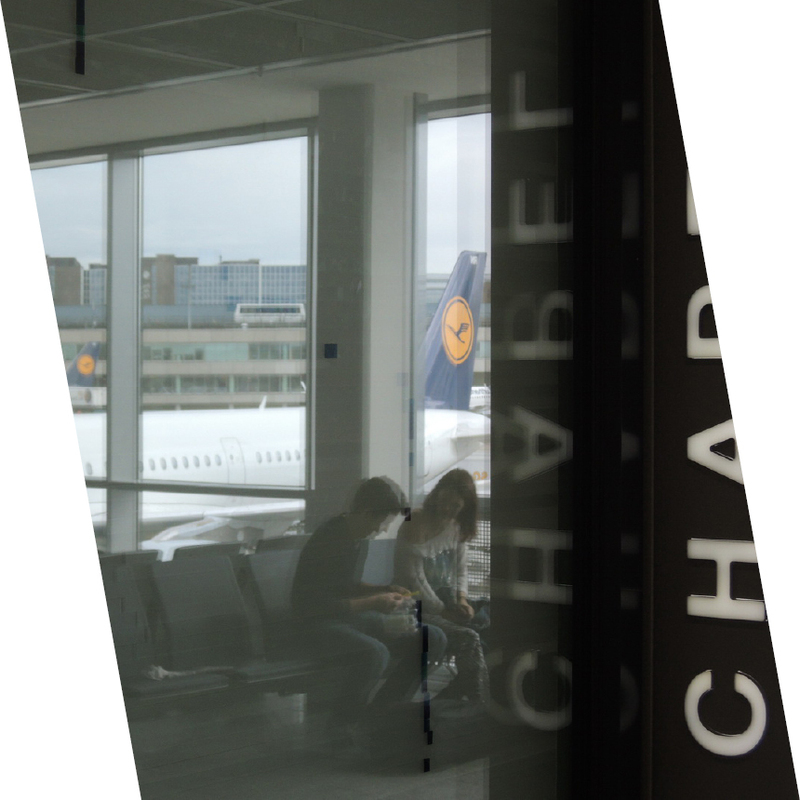 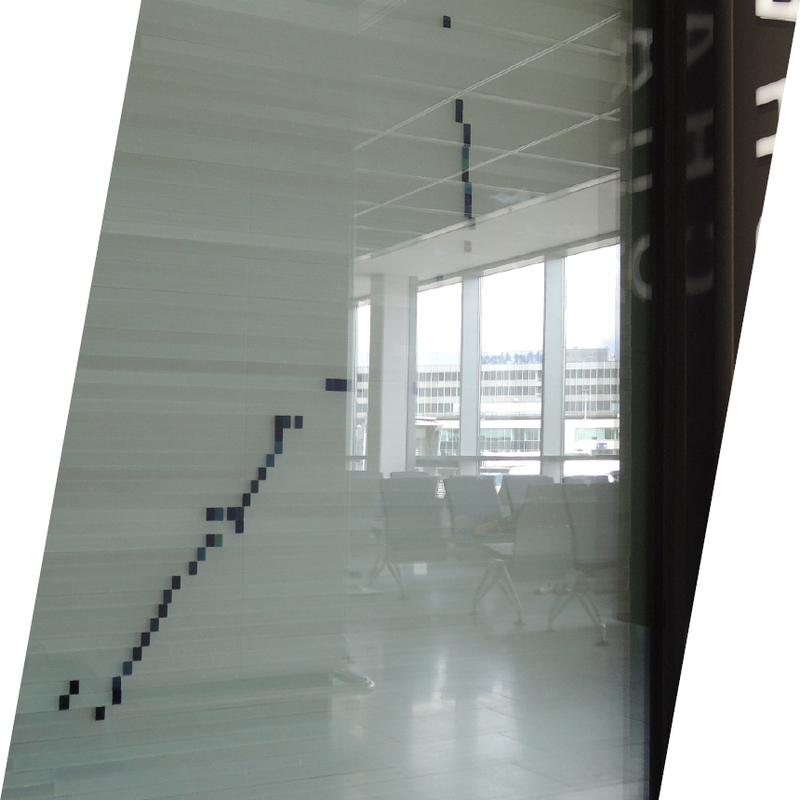 The new chapel at Frankfurt Airport offers passengers, subjected to stays for a period in the bustling transit area, a place of contemplative quietude. 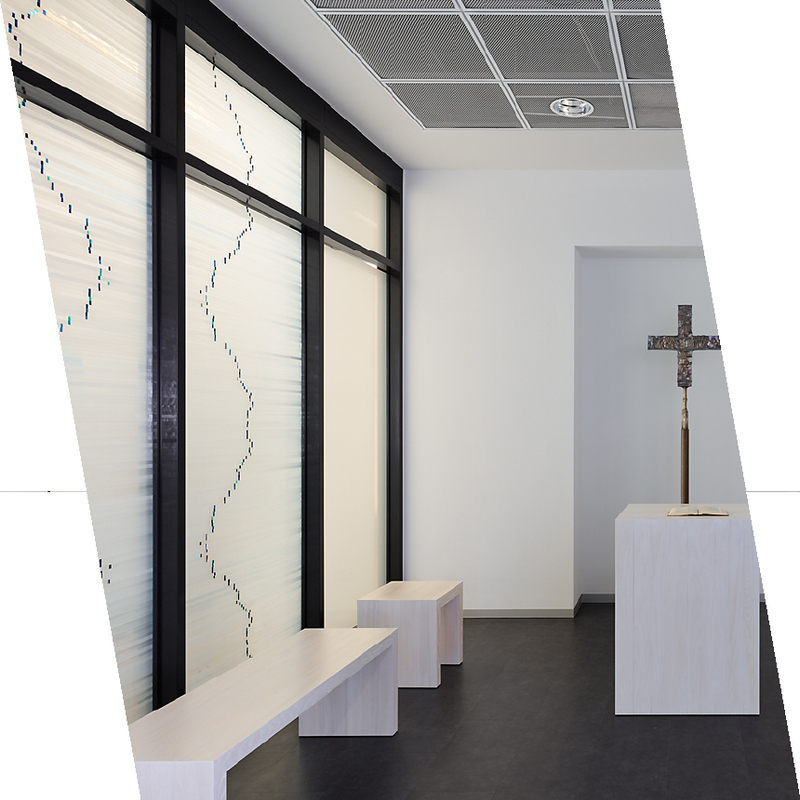 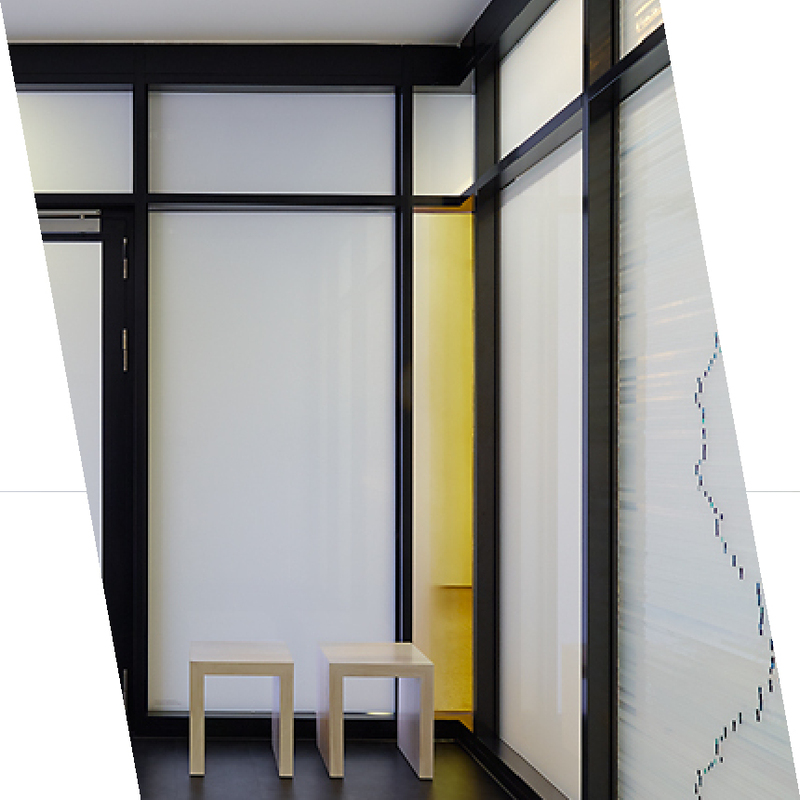 Two sides of the glass-fronted chapel adjoin brightly lit corridors.In view of this, the space required a considered approach to the source of artificial lighting. 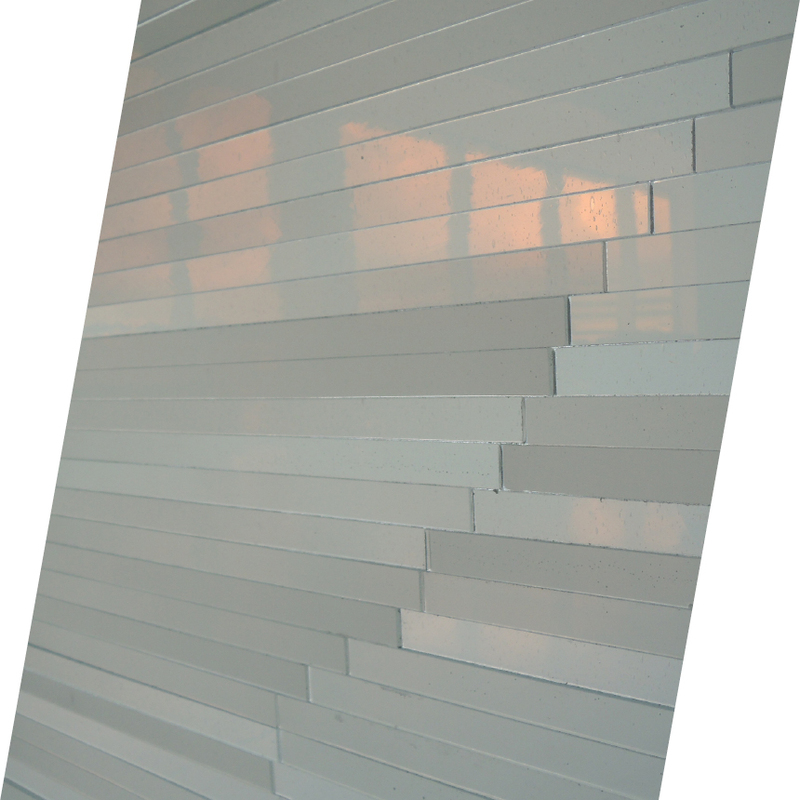 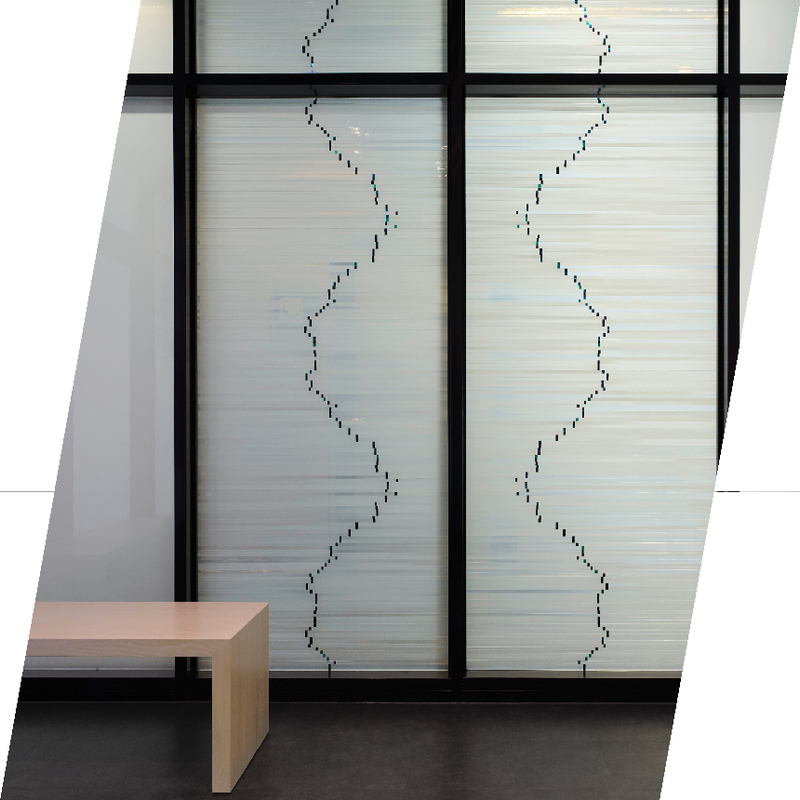 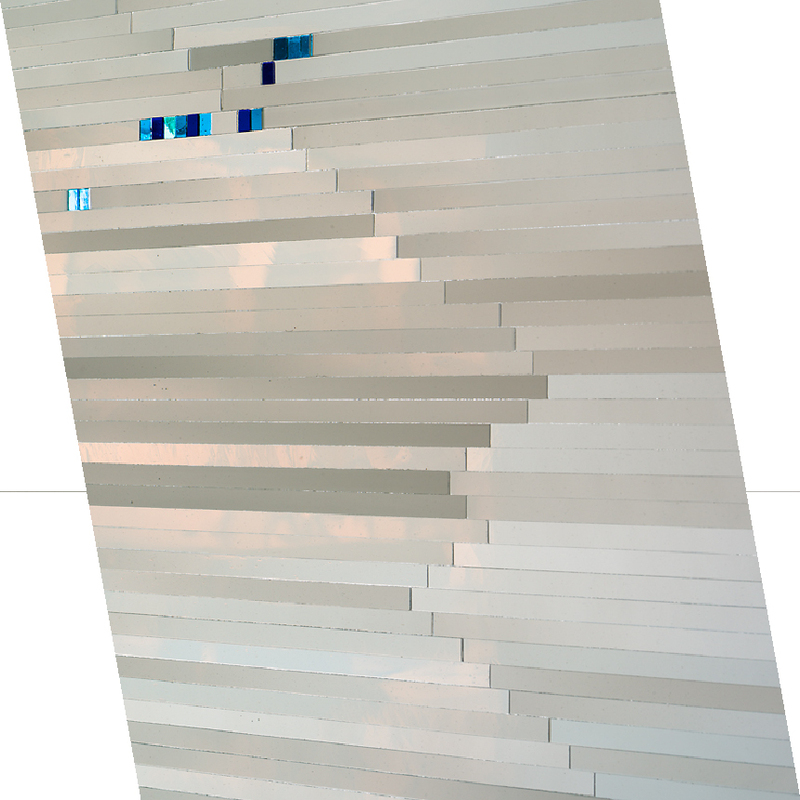 The solution, a homogenious mantle of opalescence, a screen of pearlescent hand-blown opal glass; the effect counterbalanced with a minimal amount of coloured accents, ensuring the shrouded space to be characteristically soothing and tranquil.